Puppy Kindergarten Group Classes | Dog Training in New Jersey (NJ) | Urban Dawgs - Red Bank Dog Training | Voted BEST DOG TRAINING! Urban Dawgs offers group classes at our dog training center conveniently located in the heart of downtown Red Bank, NJ. Our class sizes are small (average 4-6 dogs per class with 1-2 certified dog trainers) to ensure a productive learning environment with plenty of personalized attention. Our facility is wheelchair accessible, climate controlled, sanitized daily and features wall-to-wall matting for safety. Classes tend to fill quickly, so be sure to reserve your spot early. 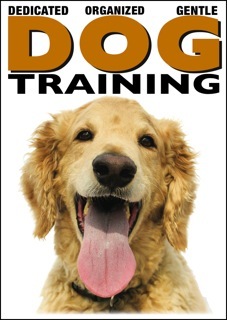 This is the most important class your dog will ever attend. Our fun-filled 6-week puppy class features ample off-leash socialization and provides a strong foundation in basic training. We've been teaching Puppy Kindergarten classes for over a decade and have worked with thousands of puppies. We keep current in the latest developments in puppy training/behavior and we are excited to share this information with you. Class meets for 1-hr, once a week and includes a Puppy Training Packet, the 74-minute Urban Dawgs Training DVD, Dedicated Organized Gentle™ and weekly homework. The first class is an orientation without puppies. Pre-registration and attendance of orientation are required. - Basics: Sit, Down, Stay, Leave-It, Touch, Wait at Doors, etc. Prerequisites: Puppies must be 8-18 weeks of age. Proof that your puppy is up-to-date with vaccinations (minimum 1st round of vaccinations plus 7 days to allow shots to take effect) must be provided before the first class session with dogs in order to participate. Attendance of the orientation (without puppies) is required in order to participate in classes with puppies. ENROLL YOUR PUPPY: If you are ready to enroll your puppy, the first step is to submit our online contact form or call us at (732-758-8522). Once payment has been processed you will receive a confirmation email that the space has been reserved. Enrollments are processed in the order received and classes are limited to 5 puppies. PLEASE NOTE: Full payment is required at the time of registration to reserve a space in a class. We accept VISA, Mastercard, American Express and Discover Card. There are no refunds after payment has been made. Once your payment has been processed, you will receive a confirmation email. Enrollments are processed in the order received. Group Class Registration Fees are NON-TRANSFERABLE and NON-REFUNDABLE. Since our group classes are taught as a series, we are unable to offer make-up classes. In the event of severe weather or other emergency, classes may be postponed to the following week at the trainer's discretion. Class schedules are subject to change prior to the class start date. Classes may be FULL without indicating such above. Full payment is required at the time of registration to reserve a space in a class. We accept VISA, Mastercard, American Express and Discover Card. There are no refunds after payment has been made. Once your payment has been processed, you will receive a confirmation email. Enrollments are processed in the order received. Please do not assume your payment was received and you are enrolled in a class until you have received a confirmation email. Class schedules are subject to change prior to the class start date. Classes may be FULL without indicating such on our website. Group Class Registration Fees are NON-TRANSFERABLE and NON-REFUNDABLE for any reason. In the event of severe weather or other emergency, classes may be postponed to the following week at the trainer's discretion. In order to protect all participants in a class, we reserve the right to decline entry to any dog who presents behavior issues that may be overly dangerous, disruptive, or that may be exacerbated by participation in a group class. Our progressive, force-free training programs are based on the scientific principles of animal learning theory and the use of positive reinforcement based techniques to set your dog up for success. All methods are 100% dog-friendly so you can truly be your dog's best friend. Physical punishment is not necessary and will not be allowed in the classroom, as it may be disturbing and/or disruptive to other attendees. Proof of your dog's current (age appropriate) vaccinations must be provided by the first class session with dogs in order to participate. Titer results are acceptable. Dogs must be healthy. Please do not bring your dog to class if s/he has been exposed to any communicable diseases in the past 30 days or if your dog has fleas. Orientations are the most important part of our classes. Therefore, students enrolled in classes with an orientation must attend their scheduled orientation to participate in the class. Students who miss their scheduled orientation (without making prior arrangements) are assumed to have dropped out of the class and will forfeit their class fee. The space will be given to a student on the waiting list. If you miss a session (other than orientation) please contact the trainer to discuss what was covered. Our classes are taught as a series; therefore, drop-ins and make-up classes are not permitted. Students who were not pre-enrolled in a class can join at the trainer's discretion, provided there is space available in the class. It is your responsibility to monitor your puppy's health daily. If your puppy seems ill or does not eat or play as usual, please take puppy to your veterinarian immediately. Urban Dawgs is aware of varying and developing opinions regarding canine vaccination. There is some risk of disease when young puppies are exposed to the outside world before they are fully vaccinated. However, several critical developmental and socialization periods end prior to the completion of a normal puppy vaccination schedule and there is a definite risk of inadequate socialization if you wait to take your puppy into the world. We always follow a veterinarian’s professional judgment, in individual cases or situations, where special circumstances warrant further immunization for a special puppy before participating in classes. We recommend that you talk with your veterinarian about ways to reduce the risks for your puppy before taking classes. - Children 7 and under must have their own adult. - Children must remain seated with their parents and under parental control at all times. - Parents must supervise their children for the entire class. - Children are not permitted to run, yell or otherwise act disruptive in the classroom. - If your child wants to meet another dog, please obtain the owner's permission first. - Children can get bored during class. Please bring quiet toys or activities to keep them entertained.